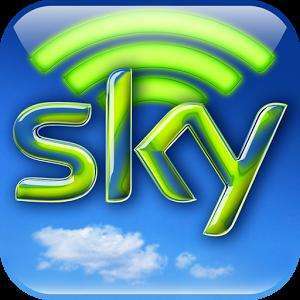 Sky have today released their Sky Go Tablet app for Android. The old Sky Go app would only work on a select few tablets, but they claim this new app works on the majority of Android tablets. Compatible with Motorola Xoom & Samsung Galaxy Note 10.1 (2012 edition) according to my Google Account! Finally.... pity I gave my notice to Sky the other day to cancel my entire TV package after Christmas, d'oh! Compatible with Motorola Xoom & Samsung Galaxy Note 10.1 (2012 edition) … Compatible with Motorola Xoom & Samsung Galaxy Note 10.1 (2012 edition) according to my Google Account! Finally.... pity I gave my notice to Sky the other day to cancel my entire TV package after Christmas, d'oh! Is this still blocked on rooted devices? Picture quality is marginally better than the original app, but why Sky had to go and release a tablet-only version is beyond me. Well, it's not actually, because Sky - bless 'em - have a track record for not having a clue when it comes to Android. The sky website status that this is an interim step until they release a fully converged product next year. Finally. Sky Go on my Galaxy Tab 10.1. Thank you Mr Sky!!! Been waiting for this, didn't think it was ever going to be released! Lovely, just in time for my £129 Galaxy tab from Very! working perfectly on my Sony Xperia Tablet Z, thanks for the heads up! And now show bow working again! does it work on ps3? Not before time! A company large like sky that makes mega profits you would think an updated app would have come along much sooner! I have a rooted Nook HD which it won't work on. Any workarounds to this ? Tempted to revert to stock Nook operating system to see what it looks like. Same on my xoom, only changes to landscape when watching a program. Can't find any setting s option to change it which is a bit of a pain! Sooner than that probably, they were on the phone to me within 3 days of cancelling! Yes I've got it back up and running, had only jusr got the newer version, before it stopped working. Same on my xoom, only changes to landscape when watching a program. Can't … Same on my xoom, only changes to landscape when watching a program. Can't find any setting s option to change it which is a bit of a pain! I heard this app is only available for Wifi use and not available for … I heard this app is only available for Wifi use and not available for tethering, can anyone confirm this? It worked for me tethering from my phone. too many ads on sky go!! thanks for this. will koad it to my daughters tablet and see how we get on. Eh? What ads are you speaking of? There are no in-app advertisements, and the only ones you see are those that feature during and between programmes, as per normal broadcasting? can fast forward on normal broadcasting though if you record or pause and wait!